When news of AT&T’s $85 billion bid for Time Warner broke in October 2016, the U.S. Senate rushed to call a hearing. The bosses of both companies would testify. But lawmakers invited not Time Warner, but Time Warner Cable, a company spun off from Time Warner in 2009. Faux pas! And that is roughly why the government will lose its case in court, where the Department of Justice opposes the pending AT&T-Time Warner merger on antitrust grounds. Because when Time Warner, the big video programmer with 12 TV networks (including CNN and HBO), cut loose its cable systems, it set up a test. According to the DOJ theory of the current case, combining video content (Time Warner) with video distribution (AT&T and its 2015 acquisition, DirecTV), would raise the price of programming and restrict its flow to competing cable, telephone, satellite, or “over the top” video services like Sling or Hulu. By logic, splitting content and delivery, would have the reverse effect. Time Warner, shedding its cable systems, would drop the price of HBO, say, and see HBO subscriber growth bounce. Alas, that did not happen. The very fact that Time Warner shareholders elected in 2009 to voluntarily separate their operations reveals the government’s simple theory to be shaky. If rigging the market by combining content and distribution creates monopoly profit, why throw money away? At trial in the Prettyman Federal Courthouse in Washington, D.C., DOJ antitrust lawyers will tell Judge Richard Leon that things have changed. Of course – but the biggest changes make their case even less plausible. 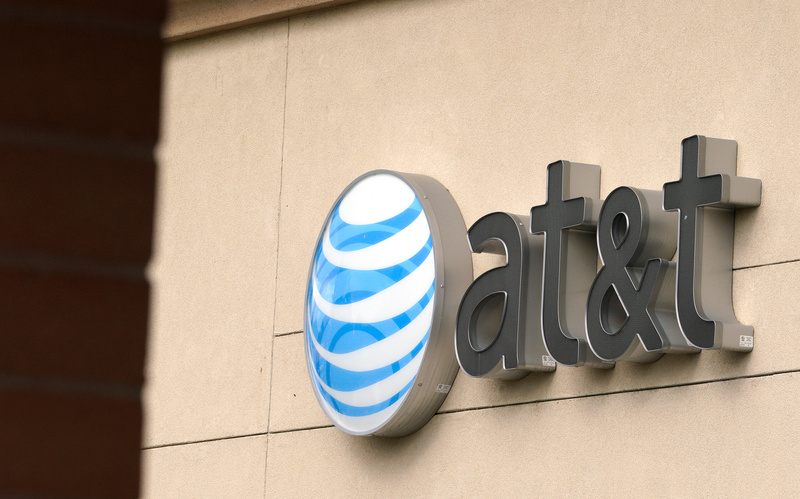 Today, AT&T-DirecTV is being buffeted by over-the-top rivals. “Cord cutters” or “cord nevers” number about 56 million, over 22 percent of U.S. adults. AT&T’s own video subscriber base shrank by more than 2 million households, nearly 10 percent, in just the past three years. That might embarrass AT&T, save this: the DOJ disagreed with that assessment, and the Comcast-NBCU merger was approved – during the Obama administration, not known as a lenient moment in antitrust policy. In this vein, regulators approved Time Warner’s purchase of Turner Broadcasting (CNN, TNT, TBS, etc.) in 1996, as well as NewsCorp-DirecTV in 2003 and Comcast-NBCU in 2011, while blocking the combination of both satellite TV operators (DirecTV-Dish Network) in 2002 and killing the proposed merger of the second and fourth largest U.S. mobile carriers (AT&T-T-Mobile US) in 2011. AT&T notes that the “government and defendants agree on at least one thing: the merger will immediately benefit consumers by reducing AT&T’s costs for Turner content, leading AT&T to reduce prices to consumers.” The differences then come in the DOJ’s estimate that prices will rise for subscribers to competing video services, with prices climbing, overall, about 0.4 percent. This calculation springs from models that would have rejected previous mergers, approved by authorities, and predicts losses not seen in the aftermath of those deals. But they are the best the government could do to estimate harm. The Golden Age of Hollywood is here. Content creators are blasting out new video content, creating innovative platforms, undermining old structures. Entrants into digital media have launched “virtual” cable systems and “skinny bundles” and over-the-top distribution. But the government, tuned to old channels, sees the AT&T merger as, from the standpoint of these emerging platforms, turning Time Warner “from friend to foe.” Such resistance is futile. As Time Warner shareholders decided when spinning off Time Warner Cable, going from “foe to friend,” as the DOJ would have it. In attacking the AT&T-Time Warner merger, the Trump administration has crocheted a quilt lacking awareness of historical pattern. A proper legal outcome is not assured at trial, as AT&T’s famous trial attorney, Daniel Petrocelli of O’Melveny & Myers, well knows. But the Department of Justice’s lack of curiosity as to the empirical validity of the theory it recommends is revealing. Leon should take that part of the government’s case most seriously. The AT&T logo is seen on a store in Golden, Colorado United States July 25, 2017. Thomas Hazlett is an economics professor at Clemson University and former chief economist of the Federal Communications Commission, and author of "The Political Spectrum: The Tumultuous Liberation of Wireless Technology, from Herbert Hoover to the Smartphone."